I have written this before and long-time readers will probably recognise the timing as well since the last time I discussed the merits, or lack thereof, of upgrading was around the last Photokina. Don’t rush out and grab the latest toy as it rolls off the factory floor. It won’t make you a better photographer. It will give a sense of joy as you open the box and get to play with something new, but the joy will wear off very quickly (it gets shorter and shorter with each new camera purchase, just like drugs). Will The New Toy Really Give You New Things? 1) Does the new camera give me something I don’t already have? 2) This thing that I will get from the new camera - Will I ever use it and do I really need it? When was the last time you ran out of buffer while shooting? If you haven’t you don’t need a greater buffer. How often do you print above A3? If seldom or never, then you don’t need more megapixels. When was the last time you photographed something that required better autofocus than you currently have (before answering this it would be advisable to pick up a Sports Illustrated or National Geographic from 10 years ago and look at the images that were taken with equipment that isn’t as modern as the equipment you currently have). 3) Will getting a new camera complicate or simplify my workflow? Photographers forget that every time you get a new camera you will need new software. There’s also new menus to learn and often new lenses that will be needed. My jump to a 24mp camera three years ago came with some expensive surprises. First, I needed to update a whole slew of programmes. This cost money. Then I needed to upgrade my computer to handle the larger files. When this didn’t work I ended up buying a new computer. This cost a lot of money. Then I discovered that my hard drives were filling up rather faster than they had in the past. This cost yet more money. The big expense came when I discovered that the 24mp sensor was throwing up some ugly surprises regarding my cherished lens set. So I had to buy better lenses. That cost a whack of money. There’s also the memory card issue. A lot of the new cameras are changing to SD card format from CF format. This means you need to buy more cards. Another issue regarding cards is that as the cameras get better they require faster cards, so even if you have SD cards, chances are that they are now too slow for the new camera. 4) Which would be more effective; $$$ for the camera or $$$ for a workshop/trip/lens/software/Training etc. Quite frankly a new camera will never make your images better in the holistic sense (see point 7 below). Knowing how to effectively use your current camera will though. Recently I ranted about the increased cost of the new Nikon D810 in South Africa (it’s effectively R15 000 more expensive than if you bought it in North America). Let’s say you sold your still barely used D800 to offset the cost. At best you’ll get two thirds to three quarters of the original value. This means that if you upgrade from a D800 to D810 you effectively pay R25 000 - R30 000 for the pleasure of having a new camera while losing the old. That same money could have paid for several short workshops or one extended workshop. It probably could have covered a new lens that would definitely have improved your picture-taking ability. It would also be a fantastic amount of money to spend on a big shoot somewhere that you have always wanted to photograph. When we did the last jump from Canon 5DmkII to the 5DmkIII and the D800 first appeared, I wrote that we were in a golden age in terms of the equipment that we have at our disposal. Nothing has changed. A D700 still produces extraordinarily good images. A Canon 7D is still a superb camera. That was over a year ago. The D810 is an inter-generational update. If you are thinking of upgrading a current generation camera, or even one that is only a generation old, you are highly unlikely to gain anything in usable image quality or features over what you already have. The converse of course is that if your camera is several generations old you will gain plenty. If you have been shooting with a Canon 450D, the 650D and 700D are going to astound you. Similarly, the Nikon D3000 seems caveman-like compared to the new D3300. 6) Is my current camera difficult to shoot with - why? Finally we get to the real reasons to upgrade a camera. If your current camera is literally difficult to shoot with, then it’s time to look for a new body. However, upgrading within the same camera type might not be the best answer. If you are struggling to make camera adjustments with a Nikon D5200, getting a D5300 isn’t going to change that. In fact looking for an older D7000 or the new D7100 would be a better bet as they have more direct controls (i.e. Controls that aren’t buried in menus). 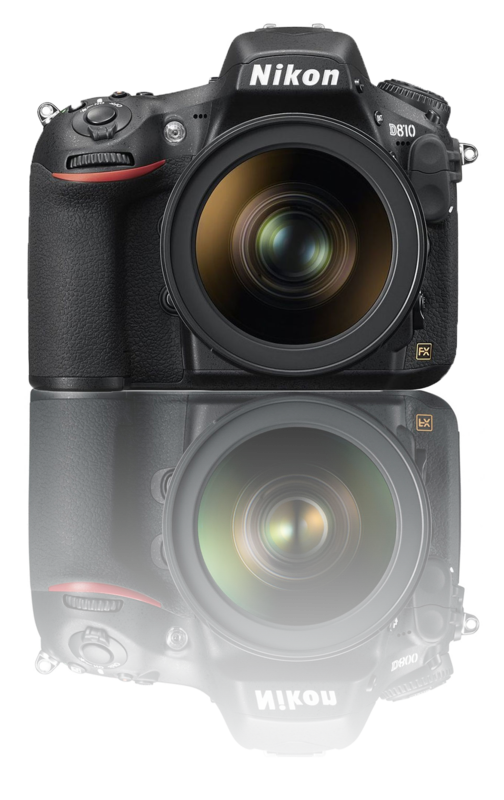 The same would hold in upgrading from a Canon D550 to a D650; rather look at a 70D which has more direct control. 7) Does my current camera not produce good enough images, and if it doesn’t, is it because of me and my technique or the camera? If you are shooting with an old Canon 250D or a Nikon D50, then yes, justifiably your images may not be as good as those produced by the newer cameras. But then, both of the cameras mentioned still shoot better images than the majority of compacts and all cell-phone cameras. Still, you buy a DSLR so that you can do things that compacts and cellphones can’t. The thing is, knowing your camera backwards and using good technique will always be a better way to produce good image than buying a new camera. There are a number of better ways that one could spend the money in improving personal photography than buying a new camera. For a start, if there’s money burning a hole in your wallet, look at lenses instead of bodies. Invariably, when I probe into someone wanting to get a new camera I discover that they have the kit zoom lens and maybe a generic 70-300mm to go with it. A whole new photographic world is waiting just with the inclusion of a 50 or 35mm prime. Add a macro lens or longer telephoto and suddenly one’s picture shooting ability is strengthened. Far more so than by upgrading an already perfectly good body. Okay. By heart photographers are gear-heads. Even woman photographers seem to catch this bug (my assistant, Claire, has it really bad and a photographer friend of my wife’s is selling her whole Nikon outfit to fund her Leica addiction)! Buying a new camera can revitalise one’s interest in photography, and working with good gear is a pleasure. Just don’t confuse new gear with improved photography. So essentially, just get on with photography. Forget the new toys and replace gear when it breaks or it starts to fight you. Nikon’s (and Canon, but to a lesser extent possibly) recent quality control fiascos also teach a valuable lesson: Don’t buy the first shipment. Wait a couple of months until the dust settles. Any outstanding QC issues tend to be cleared up and you will have a usable new camera to play with. But, as I say, just get on with the photography.